With the new year brings an urge to update and refresh your home. Since you spend a lot of time in your kitchen you surely do not want to look at the same four walls year after year. There are things you can do to refresh and update your kitchen rather quickly and easily. You can do these on your own without the help of a contractor. You may need to buy a few extra tools if you do not have a good tool selection, but other than that, you can have an updated kitchen in a matter of a weekend. 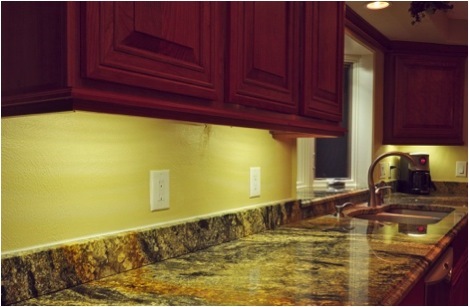 You can add some lighting under your cabinets with a drill, a few screws and the right type of lights. You do not want the lights to be very bright and you want them to fit without being seen. Other than this, the choice is really up to you. You can choose battery-powered or ones with cords if you have plenty of outlets. The battery operated ones tend to look the best because then there are no cords all over the place. If you are trying to be more eco-friendly, then get lithium batteries that can be recharged so that you can use them over and over again. Then, just screw the lights into the bottom of your cabinet and enjoy this new feature. If your cabinet and drawer handles are old, replace them. This will take just a few hours and a screwdriver. You can find a variety of handles at hardware and home improvement stores. If you are going modern, then you should go for something like a brushed nickel or stainless steel. If you are more a French country or shabby chic person, you can find porcelain handles that you can put on your cabinets and drawers. Pot racks are not new, but they are also not a staple in every home. If you have an island or a butcher’s block in your kitchen, a pot rack works very well here. However, a new trend is putting a pot rack above the sink. If you have a window right here, you can actually use a simple curtain rod above the sink, but instead of curtains you will use it to hang some pots and pans. Just get some “S” hooks so that you can attach them to the curtain rod and then hang the pots and pans by their handles. If you have cabinets with glass in the doors then you can make a quick update that will really add some color and life to your kitchen. This works especially well with white, or nearly white, kitchens. Head to the craft store and find tinted film. Simply cut this down to size and put it on the glass parts of your cabinets. This will make it seem like you have tinted glass as part of your cabinets. 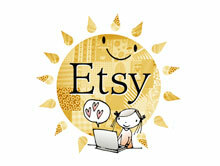 You can also add some colorful, vintage pieces, such as vases, cookie jars and other small items. These little bursts of color will turn a boring kitchen into a work of art. Wood is modern, works with traditional designs as well and is easy to maintain. There are wood floor kits that you can buy at the hardware store that you can really install yourself. The pieces lock into each other so they lay easily. You will need a power saw and some skills in using this to get the border pieces cut to size, but other than this, you can have a new wood floor in your kitchen in a matter of a couple of days. These are some really simple things that you can do in making your kitchen as efficient and organized as possible. By adding a pot rack will defiantly ease the stress that cooking can cause. 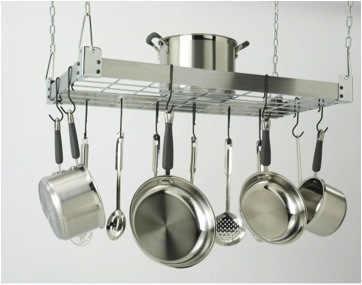 A hanging pot rack will help to clear cabinets, cupboards and countertops to create an atmosphere that is totally functional and efficient for preparing your daily meals.